In our age of technology, most of us have become do-it-yourselfers. This makes sense in most cases, but not when it comes to individual or business tax preparation. Entering a few numbers into the latest tax software might be quick and easy, but it could end up costing you hundreds or even thousands of dollars if you make a mistake. 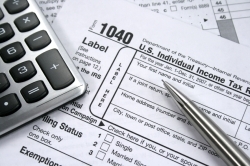 Don’t take chances with your tax return, trust a real person to prepare your taxes. Contact the Los Angeles, CA tax accountants at John W. Weldon CPA now. We’re your best choice for tax preparation in the Los Angeles area because we keep up on all the latest revisions and updates to the State and Federal tax regulations. We’re constantly searching for new tax breaks and deductions we can use to save our clients money on taxes. From personal income tax returns to business tax preparation services, we work hard to minimize tax liabilities for all of our clients. When you turn to us for tax services, you’ll receive top-notch customer service from our friendly staff of knowledgeable accountants and financial professionals. We’ll happily answer your questions and will always respond to your emails and phone calls promptly. Request a consultation through our website today or give us a call at 310-390-7487 to get started. We service Tagalog and Chinese speaking clients.